Pendleton's Sunset Pass design has included the traditional Native American inspired diamonds and arrow images in Rust and Ecru. Inspired by traditional Native American patterns the triangular shapes and natural hues evoke the pines and tamarisk trees which cling to limestone cliff sides. 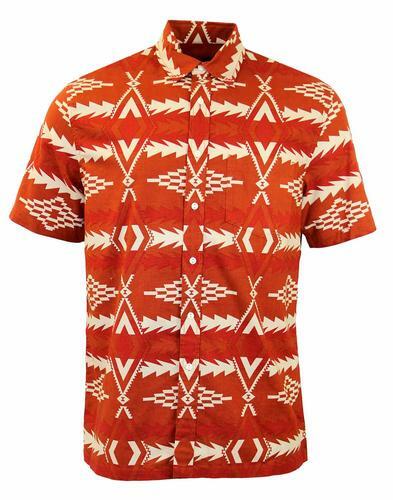 Pendleton Retro Apache Print Shirt in Rust. 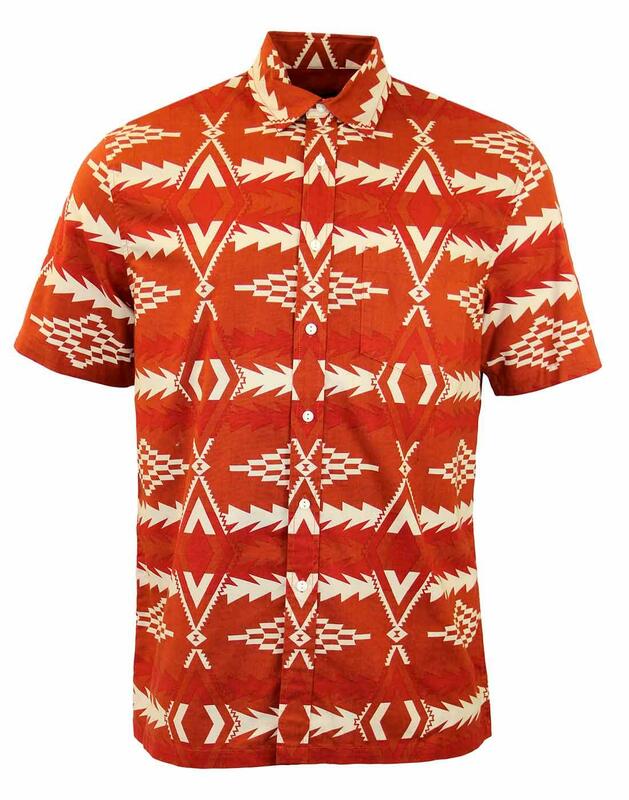 The clever use of traditional Native American patterns in Ecru contrast brilliantly on the rust shirt making them become more eye catching. 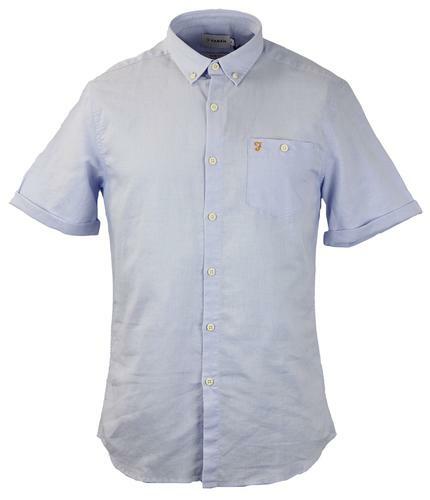 White buttons tie in neatly with the colour scheme and also contrast on the rust shirt. 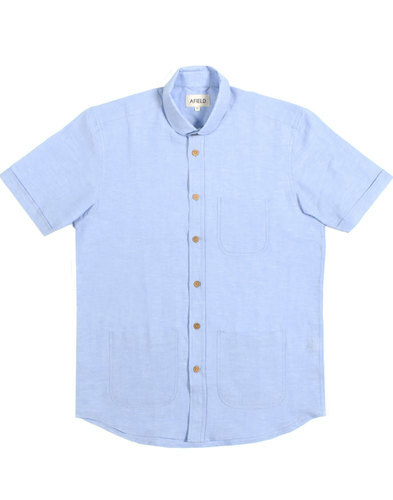 Short sleeves would be brilliant for hot weather and 100% cotton to keep you cool as possible in the summer months. Key Points: Pendleton Retro Apache Print Shirt. Part of the Pendleton Surf collection. Care: Machine wash cold, gentle cycle with like colours. Please refer to label.